Root Android using TWRP Recovery ? 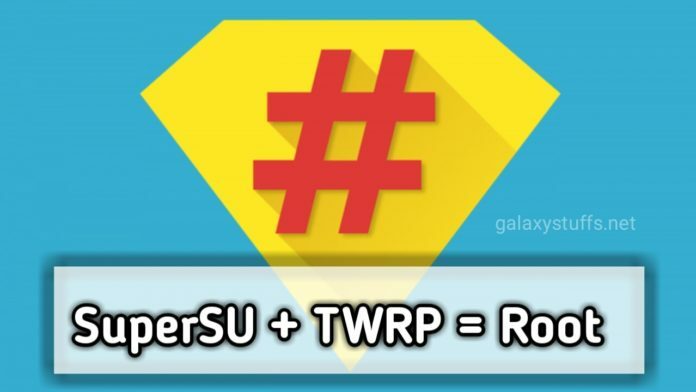 Follow this guide to download and install SuperSU zip using TWRP recovery and root your Android device. Rooting an Android device can often be a confusing for those who are stepping in for the first time. For instance, unmanaged root access can allow any app/service to perform actions on your Android device. SuperSU is a superuser manager app by developer Chainfire, which manages root permissions on your device once it’s rooted. And thankfully, Chainfire has also created a recovery flashable zip file for SuperSU which contains the SuperSU app and the binaries required to get root access. What this means is you can flash the SuperSU zip via a custom recovery and get root access on any Android device. You must also install TWRP recovery on your Android device. Boot TWRP recovery on Android using the buttons combination. In TWRP, tap on the ‘Install’ button. Navigate to the file location storage and select the ZIP file. After selecting the .zip file, do 'Swipe to Confirm Flash' on the bottom of screen to begin the flashing process. Once SuperSU is flashed, you’ll get 'Reboot System' option, select it. So once your phone boots, you can start using root-enabled apps and you shall be prompted to allow/deny root permissions. You can easily update the official app directly from the Play Store. To verify root access, you can download this Root Checker app from Play Store.